Have some fun this Easter with this Pin the Tail on the Bunny Free Easter Printable! Hippity Hoppity Easter’s On Its Way! Can you believe Easter is almost here? Easter is a great time to gather with family and enjoy the holiday together. If you’re looking for some Easter fun this year, why not play some Easter games?! Not only will the kids have a total blast, but it’s great for family bonding! There are tons of Easter games and activities that will keep the whole group entertained. 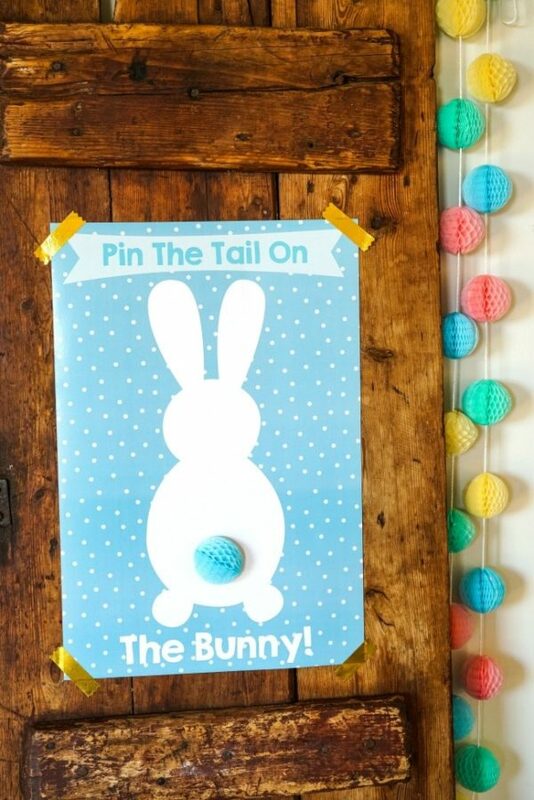 One Easter game in particular that we love is Pin the Tail on the Bunny! Our friends over at Sunshine Parties is sharing this fun Easter game as a FREE printable yaaaaaaaay! They have even included a pink one for the girls and a blue one for the boys! How great is that?! Because you know how young boys can be with anything pink! Minute To Win It Games – 60 second challenges that are played with items or objects found around the house. These games are perfect for any holiday. Easter Trivia – Write down a list of fun Easter facts and see how well participants know all about Easter! Easter Egg Hunt – Hide some eggs around the house or in the yard for the kids to find. Add some goodies in plastic eggs for the ultimate Easter surprise! Or even better, plan a glow in the dark Easter egg hunt! Easter Egg Spoon Race – Participants place an egg on a spoon and race with it to the finish line without dropping it. Jelly Bean Toss – Line up some empty Easter baskets and have children stand behind a line. Children will try tossing the jelly beans into the baskets. Whoever gets the most jelly beans in their basket wins a prize! Musical Easter Baskets – a play on the classic Musical Chairs Game. When the music stops, whoever doesn’t grab an Easter basket is out of the game. Do you have a fun Easter game you love to play with your family? Let us know in the comments below! No matter what games you decide to play, the most important thing is you’re enjoying time with family. The posters for the Pin the Tail on the Bunny are tabloid-sized. For a bunny ‘tail’ you can use a half of a honeycomb paper tissue ball from a garland. You could also use cotton wool, or make a cute pom pom for your ‘tail’! And then, it’s all fun and games, watching kids or adults stumble about with a blindfold. So much fun! Keep some chocolate on hand as you know it makes an eggshellent (sorry) prize for the winner! 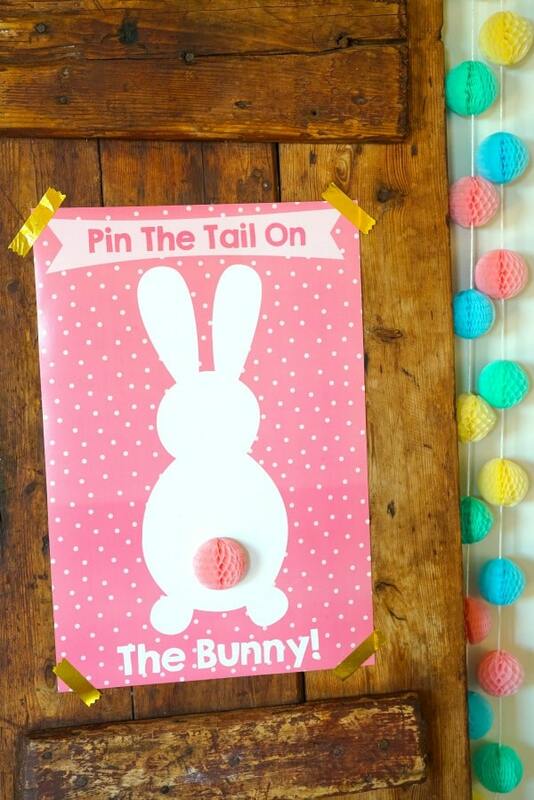 Now, head on over to Sunshine Parties and download the Free Pin the Tail on the Bunny – Free Easter Printable. Enjoy! Here’s to you and yours and all the warmth of higher temperatures and family closeness! Ps. 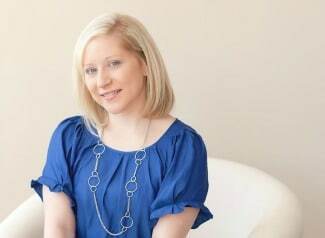 Planning an Easter Egg Hunt or Easter Party? Check out this gorgeous pastel watercolor and gold glitter Easter Party and Hunt set!